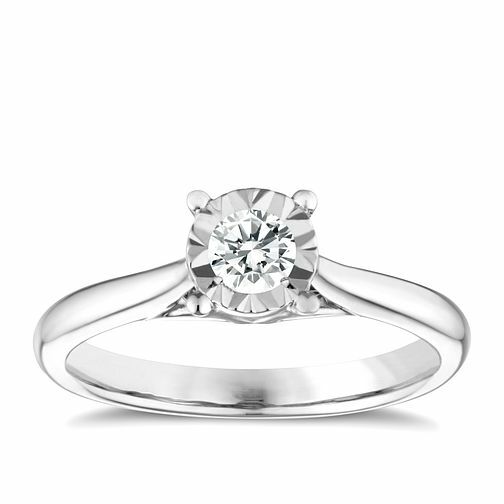 9ct white gold 1/4ct diamond illusion solitaire ring is rated 4.2 out of 5 by 5. Rated 1 out of 5 by Anonymous from This product Do not buy one of these rings! I had mine 3 months and the diamond fell out! We decided to take it to an independent jewler and he said that the illusion setting is not secure enough to hold the diamond! The claws are too small!I got it reset into normal claw.